Welcome to Land of Enigmatic Cappadocia! We are one of leading travel company in booking your upcoming adventurous Hot Air Balloon Ride in Cappadocia. Everything starts before dawn, when Hot Air Balloon Cappadocia companies start to collect the passengers from their hotels and take them to a meeting point for festival like event. All of companies offer a light breakfast and, when all the participants are present, the group moves to the launch off point. 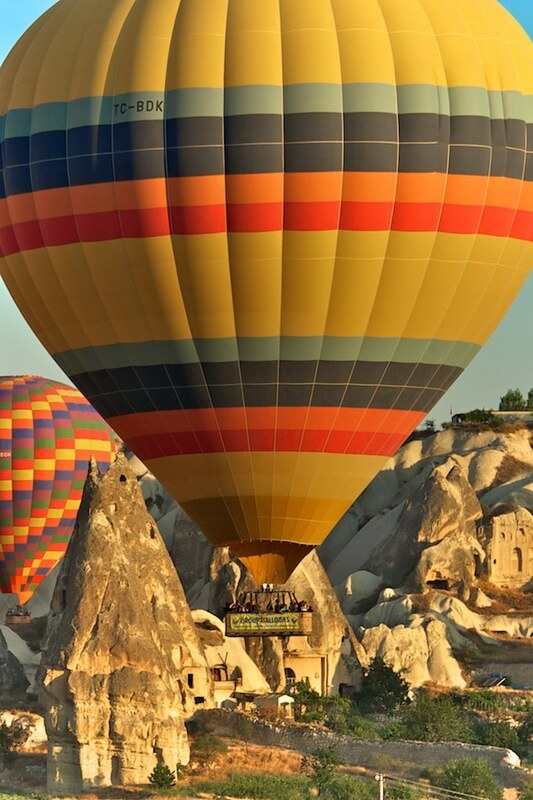 One of the wonders of travel in Cappadocia Turkey is definitely ride in hot air balloons with the absence of noises until the first burner goes off! You then have the feeling of floating and flying by feeling the air on your face while still sleepy, of experiencing what is never within reach. We are providing different prices from budget to luxury to fit all income levels. All balloon tour companies in Cappadocia must offer fundamental service quality but there are certainly more comfort in some such as less passengers within. 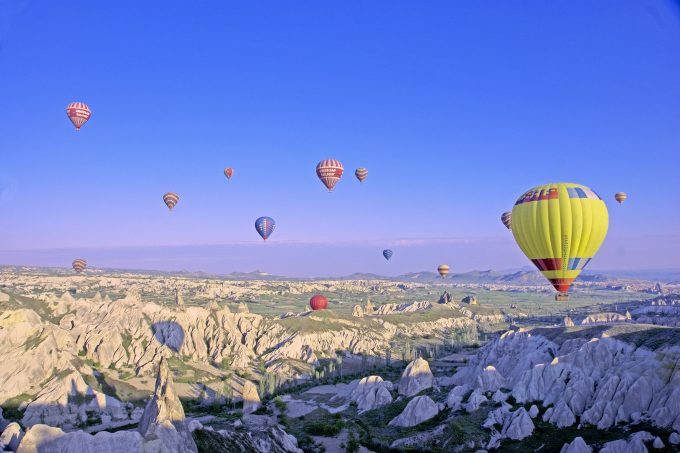 As all the balloon tours are controlled by civil aviation authority of Turkey Cappadocia, some days flights are not permitted due weather conditions. In case of this inconvenience, we hand your refund directly in the region. Please kindly be aware that last minute reservations may not be possible as the region is generally very crowded and balloons can only fly one time at dawn in the region. 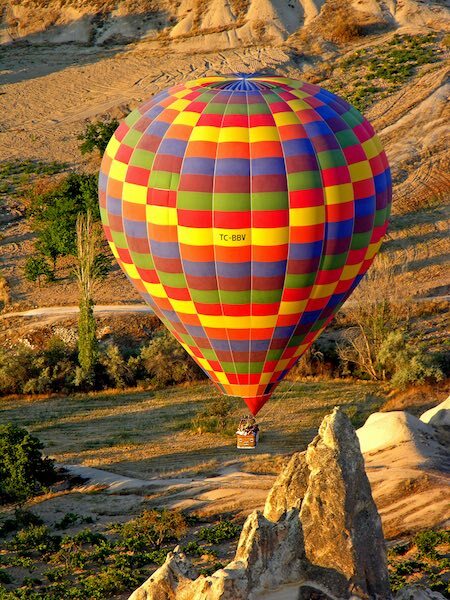 Its strictly suggested to book your hot air balloon ride in Cappadocia well in advance not to be taken aback! What time is the Hot Air Balloon in Cappadocia? 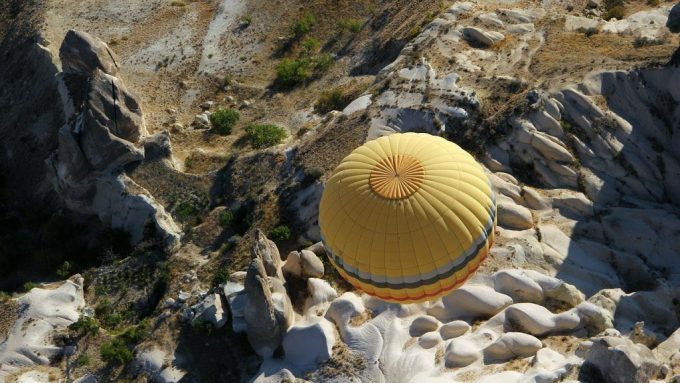 How Much is a Balloon Ride in Cappadocia? Basic prices for balloon in 2019 is starting from 135 Euros per person and goes up to 250 Euros per person depending on the number of participants in the balloons. Is Hot Air Balloon safe? Percentage of possible accidents in hot air balloons is less than airplanes. So no need to worry about accidents and enjoy the ride over clouds and watch the beautiful views of Cappadocia Turkey! When should i go to Cappadocia? Cappadocia can be visited all through year but best time to visit is from April to end of October each year. 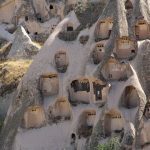 What is there to do in Cappadocia? Cappadocia is land of interesting landscape as well as offering interesting activities such hot air balloons, horse back riding, ATV Quad bike tours, hiking in numerous valleys and underground cities. How far is Cappadocia from Istanbul? Turkey seems very tiny when you look at map but dont think the distances are so near. If you travel to Cappadocia from Istanbul by land(bus or car) it takes almost 8-9 hours and its around 760 Km from Istanbul. If you are a first time traveller with limited time then we suggest you to book our 2 days cappadocia tour package by airplane to make the most of your stay in the region. What should i wear for Hot Air Balloon Ride? Well, there is no particular dress code for ride in balloons but comfortable shoes and casual dress is appropriate. The temperature is more or less same as ground up in the sky as we do not ascend a lot like airplanes. So depending on the season you travel you can wear some thick clothes as it may chilly early in the morning.